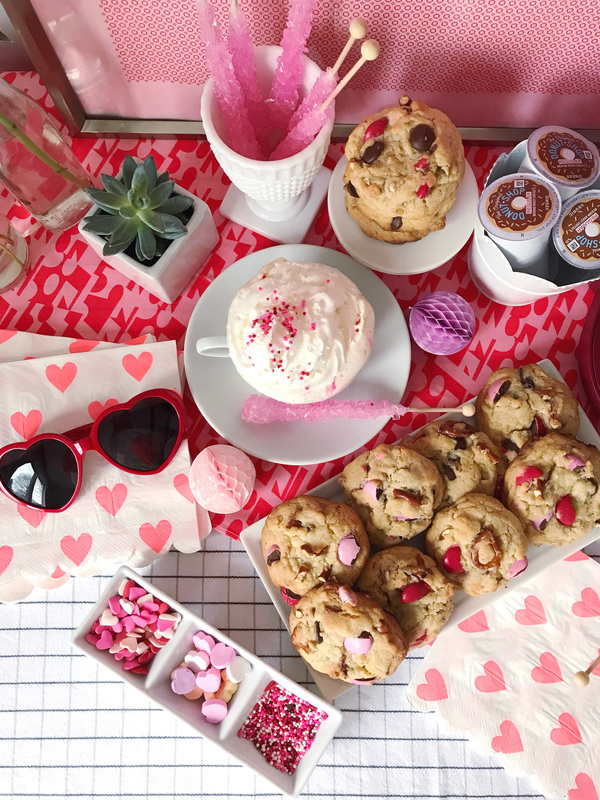 I’m a total Valentine’s Day nerd, I love the pink hearts and the sentimental cards, and I really love the excuse to indulge a little bit with some sweet treats! 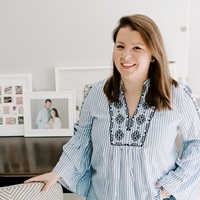 It seems that over the past few years, the idea of a “Galentine’s Day” party, to celebrate with your best girlfriends, has become almost more popular than the actual Valentine’s Day occasion. I get it, my girlfriends are way more into flowers and cute cards and heart sunglasses than our husbands likely are. Why not celebrate with them? 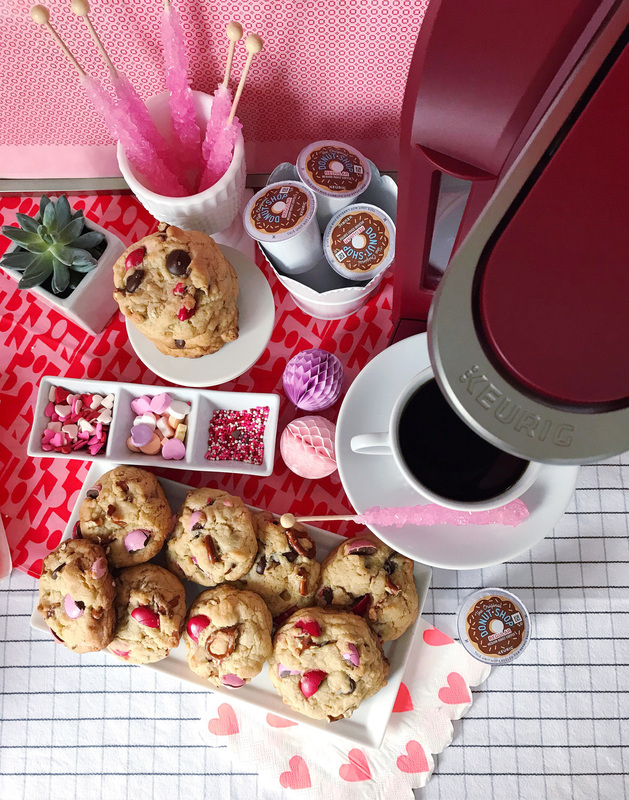 I have some sweet ideas to get you inspired to throw your own Valentine’s Day coffee and cookies party with your best buds or your own sweetheart! It makes me delighted to think about coffee being served on Valentine’s Day, because I actually do have feelings of true-love for this beverage. I would barely survive most days without it! 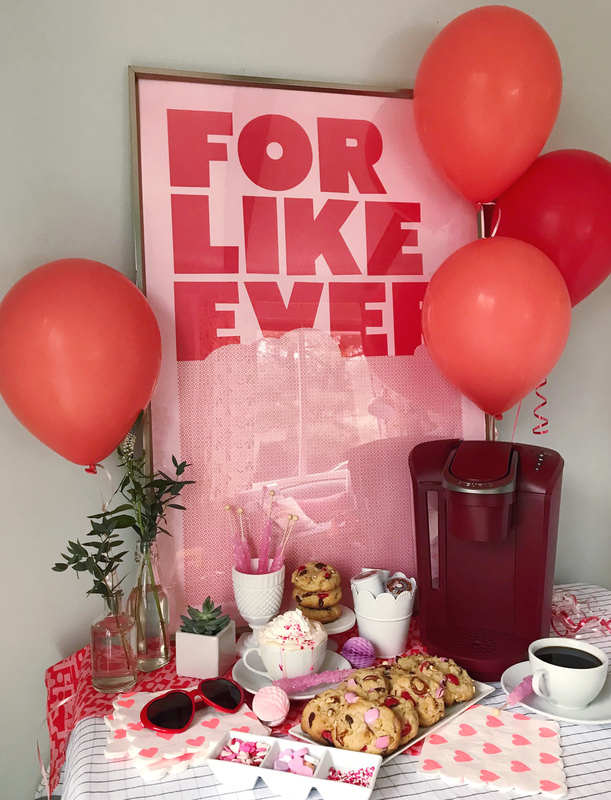 I set up my Keurig® K-Select™ Coffee Maker (in vintage red, perfect for Valentine’s Day) for the coffee bar, and put out a pretty tin full of The Original Donut Shop® Coffee pods. A nice warm cup of coffee is certainly love at first sip for me, but I made these beverages extra loveable with an over the top chocoholic-candy-lovers-loaded-coffee-concoction! To make this delicious Valentine’s Day drink, start with a festive coffee mug and some chocolate frosting. Spoon the chocolate frosting into a piping bag or Ziploc bag with a small hole snipped out of one corner, and pipe a ½” layer of chocolate frosting around the rim of the mug. 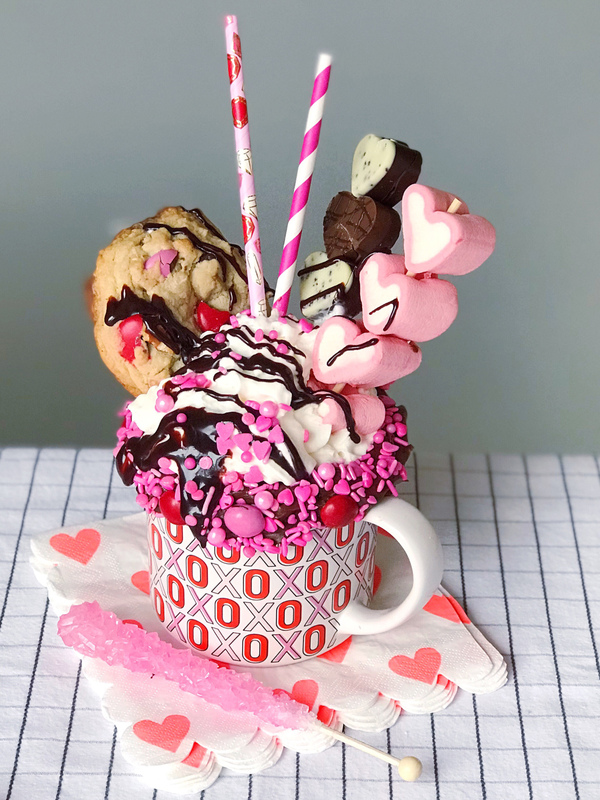 Next, pour some festive Valentine’s Day sprinkles into a bowl, and press the chocolate-frosting rimmed mug into the bowl to catch the sprinkles in the frosting. You can also press in a few Valentine’s Day candies and conversation hearts into the chocolate frosting too. Place the mug inside the refrigerator for about 5 minutes to keep the frosting firm. While the mug is chilling, create some candy skewers to adorn your coffee drink. I threaded one skewer with heart-shaped marshmallows, another with heart-shaped chocolates, and put a giant cookie on the third skewer. Remove the mug from the refrigerator and drizzle the inside of the mug with chocolate sauce and caramel sauce, then place the mug under your Keurig® K-Select™ Coffee Maker, and brew a fresh cup of The Original Donut Shop® Coffee . To make this drink taste as bold as it looks, make sure you press the “Strong Button” on your K-Select™ Coffee Maker! Finish the drink off with tons of whipped cream, a drizzle of more chocolate sauce, extra sprinkles, and your candy and cookie skewers. A pair of festive straws would make this a perfect way to share this sweet coffee treat with your valentine! 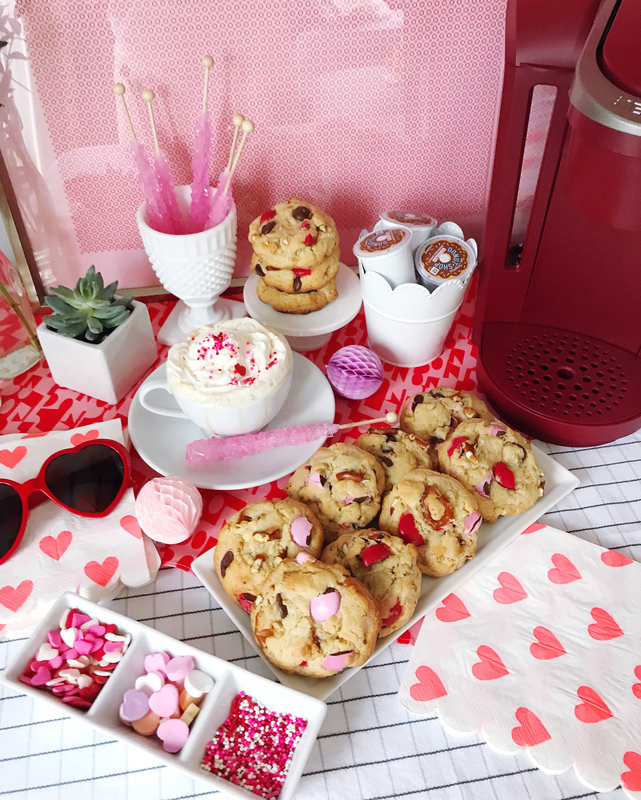 To pair with our wild Valentine’s Day coffee drink, I made a batch of loaded Valentine’s Day cookies. They have all of the delicious elements of a chocolate chip cookie, but with lots of added surprises folded in! This batch had chopped up Valentine’s Day chocolate candies, some toffee bits, crushed sea salt pretzels, and dark chocolate morsels. 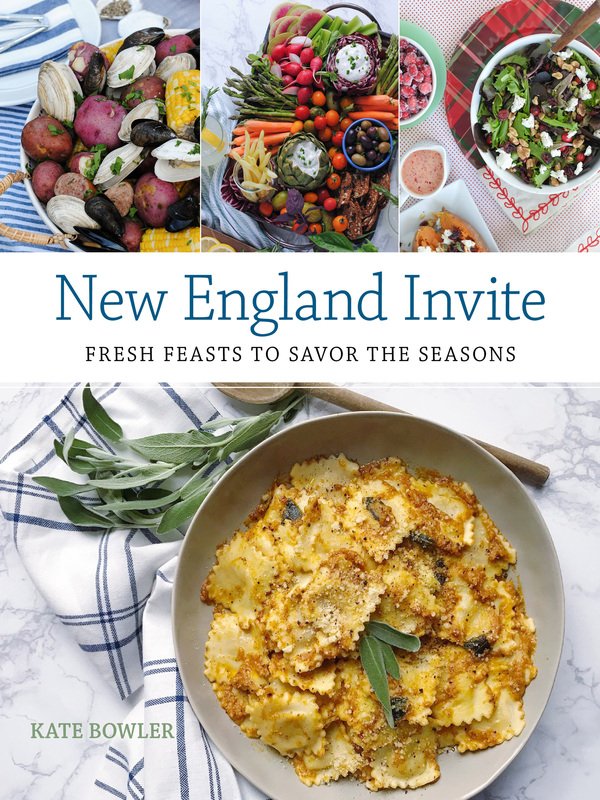 I’m getting hungry just typing this! You could also mix in regular chocolate chips, chopped nuts, caramel chips, or any other type of fun candy you want. They were warm and gooey with a little bit of saltiness from the pretzels, which paired perfectly with the extra sweet coffee drinks! 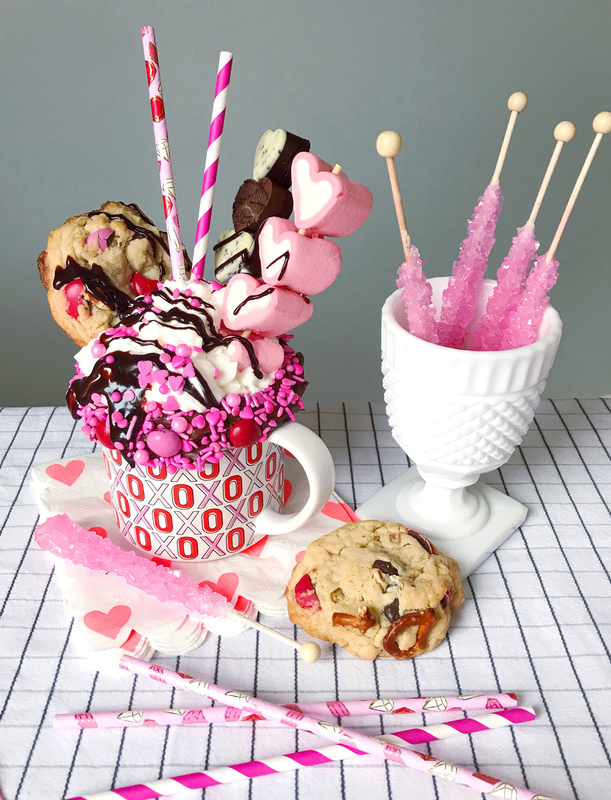 I even put one on a skewer and stuck inside our loaded Valentine’s Day coffee mug, a little cookie dunk in your coffee makes the holiday that much sweeter. All that’s left to do is add a few festive details like some balloons, heart-adorned napkins, and as much pink as you can handle. Then grab your Valentine or Galentine and get celebrating! Valentine’s Day Cookies. One-Pan Roasted Shrimp and Vegetables. One Response to "Valentine’s Day Party." Kate, that coffee looks amazing and I don’t even really drink coffee! Probably all the other toppings that would make me want it! PS- love the cute straws- I recognize some of them from Target!